Chevrolet Corvette models have held the attention of car enthusiasts for decades, from the Chevrolet Corvette Stingray and Corvette Grand Sport to the Corvette Z06 and Corvette ZR1. 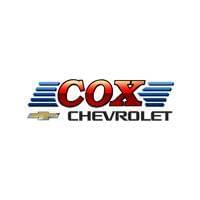 Browse our inventory at Cox Chevrolet near Tampa to take one home! $5,158 off MSRP! This 2019 Chevrolet Corvette Stingray in Black is well equipped with: 8-Way Driver & Passenger Seat Adjusters, Bose Premium 9-Speaker Audio System Feature, Front dual zone A/C, Performance Exhaust. Included 2 Year Complimentary Basic Maintenance / In Business Over 90 years / Call 1-888-844-3454 For Details. $5,281 off MSRP! This 2019 Chevrolet Corvette Stingray in Torch Red is well equipped with: 8-Way Driver & Passenger Seat Adjusters, Bose Premium 9-Speaker Audio System Feature, Front dual zone A/C, Performance Exhaust. Included 2 Year Complimentary Basic Maintenance / In Business Over 90 years / Call 1-888-844-3454 For Details. $4,268 off MSRP! This 2019 Chevrolet Corvette Stingray in Torch Red is well equipped with: 8-Way Driver & Passenger Seat Adjusters, Automatic temperature control, Bose Premium 9-Speaker Audio System Feature, Front dual zone A/C, Performance Exhaust. Included 2 Year Complimentary Basic Maintenance / In Business Over 90 years / Call 1-888-844-3454 For Details. $4,268 off MSRP! This 2019 Chevrolet Corvette Stingray in Torch Red is well equipped with: 8-Way Driver & Passenger Seat Adjusters, Bose Premium 9-Speaker Audio System Feature, Performance Exhaust. Included 2 Year Complimentary Basic Maintenance / In Business Over 90 years / Call 1-888-844-3454 For Details. $4,317 off MSRP! This 2019 Chevrolet Corvette Stingray in Arctic White is well equipped with: 8-Way Driver & Passenger Seat Adjusters, Automatic temperature control, Bose Premium 9-Speaker Audio System Feature, Front dual zone A/C. Included 2 Year Complimentary Basic Maintenance / In Business Over 90 years / Call 1-888-844-3454 For Details. $4,317 off MSRP! This 2019 Chevrolet Corvette Stingray in Arctic White is well equipped with: 8-Way Driver & Passenger Seat Adjusters, Automatic temperature control, Front dual zone A/C, Performance Exhaust. Included 2 Year Complimentary Basic Maintenance / In Business Over 90 years / Call 1-888-844-3454 For Details. $4,685 off MSRP! This 2019 Chevrolet Corvette Grand Sport in Sebring Orange Tintcoat is well equipped with: 7-Speed Manual, 8-Way Driver & Passenger Seat Adjusters, Bose Premium 9-Speaker Audio System Feature, Heads-Up Display. Included 2 Year Complimentary Basic Maintenance / In Business Over 90 years / Call 1-888-844-3454 For Details. $4,714 off MSRP! This 2019 Chevrolet Corvette Grand Sport in Arctic White is well equipped with: 8-Way Driver & Passenger Seat Adjusters, Bose Premium 9-Speaker Audio System Feature, Heads-Up Display. Included 2 Year Complimentary Basic Maintenance / In Business Over 90 years / Call 1-888-844-3454 For Details. $4,755 off MSRP! This 2019 Chevrolet Corvette Grand Sport in Black is well equipped with: 8-Way Driver & Passenger Seat Adjusters, Bose Premium 9-Speaker Audio System Feature, Heads-Up Display. Included 2 Year Complimentary Basic Maintenance / In Business Over 90 years / Call 1-888-844-3454 For Details. $5,310 off MSRP! This 2019 Chevrolet Corvette Grand Sport in Long Beach Red Metallic Tintcoat is well equipped with: Auto-Dimming Inside Frameless Rearview Mirror, Body-Color Outside Heated Power-Adjustable Mirrors, Bose Advanced 10-Speaker Audio System Feature, Cargo Net, Front Curb View Cameras, Head-Up Display, Heated & Vented Driver & Front Passenger Seats, Luggage Shade, Memory Package, Power Lumbar/Bolster Seat Adjusters, Preferred Equipment Group 2LT, SiriusXM Radio, Theft Deterrent System, Universal Home Remote. Included 2 Year Complimentary Basic Maintenance / In Business Over 90 years / Call 1-888-844-3454 For Details. $5,256 off MSRP! This 2019 Chevrolet Corvette Z06 in Torch Red is well equipped with: 7-Speed Manual, 8-Way Driver & Passenger Seat Adjusters, Bose Premium 9-Speaker Audio System Feature, Heads-Up Display. Included 2 Year Complimentary Basic Maintenance / In Business Over 90 years / Call 1-888-844-3454 For Details. $5,502 off MSRP! This 2019 Chevrolet Corvette Grand Sport in Long Beach Red Metallic Tintcoat is well equipped with: 8-Way Driver & Passenger Seat Adjusters, Automatic temperature control, Bose Advanced 10-Speaker Audio System Feature, Front dual zone A/C, Heads-Up Display, Radio: Chevrolet Infotainment System w/Navigation. Included 2 Year Complimentary Basic Maintenance / In Business Over 90 years / Call 1-888-844-3454 For Details. Contact us to schedule a test drive at your Sarasota-area Chevy Corvette dealership and experience the power of these amazing models in person. When you are ready to take one home, be sure to check our current new vehicle specials so you don’t miss out on a great deal!